First let me begin, to put everyone at ease, that I am still smoke free and have been, I think, for OVER 150 days. And so I am coming to the playground, but am not really in the mood for running and jumping and swinging. It has been kind of a tough two weeks and I guess I feel like just sitting and thinking for a bit. The first issues were my own making. It is always a healthy stress, I believe, whenever I start a new job. I left my old one, said goodbye to the friends, and then took a week off. I am excited and a bit worried about the unknowns in any new job. It will be fine, but it is still there. I have also took this week to re-side and re-roof my garage. Another healthy but stressful task. But then other stresses land on the plate. My wife's mammogram last week revealed "an Oddity". Yes, and at the end of last week the Oddity turned out to be Cancer. Not huge, since she follows getting squished yearly, but.... The next morning my stepdaughter called from the fine state of Tennessee and she was going under the knife for emergency Appendectomy. She is recovering at this moment. May I add to the discussion our yellow lab Tessa is down to 40 pounds, and we could spend another $500 for tests, which will most likely show that she needs $4000 in treatment that may not do any good? That info was given to us on Saturday. So I will just sit here, and breath. Thoughts of smoking have gone through my brain, but I do not let them stay. And I thank this group for their support in letting me deal with these issues smoke free. Hey Greg am just gonna sit with you for a bit if that's alright. Thank you for sharing what you are going through. I think when it rains it pours sometimes. I will be thinking and praying for you and your family. Please know you have family here to support you. I'm going to sit with you and the others on the playground for a bit too. So sorry for all your worries. Life can be so difficult. Be kind and gentle with yourself. You are in my prayers. I'd like to sit down beside you Greg and put my arm around your shoulders and just breathe while silently sending up good thoughts and prayers for you and your family ,here's a huge cyber hug from me to you dear friend and fellow Exer. Sorry to hear about your struggles at present. My thoughts and prayers and with you and your family (including your dog). 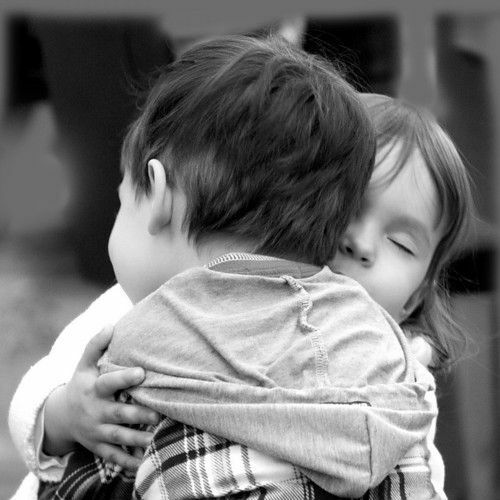 We are all here for you, giving a hug to comfort you , and prayers for a better tomorrow. We'll keep the campfire going in the corner of the playground so you can find your way back when you can. And a friendly reminder - a cigarette is not going to impact ANY of this in a positive way. Go for a walk instead! It's OK to just sit and think, Greg! And know your Friends are here - to listen, to hug, or just to be here where you know that we are thinking about You, your Wife, your Family and praying for the Best outcomes in all of these situations! It's a lot to take in! I wish you Peace and Light, Comfort and Healing! Take one day at a time! As you feel like it we would appreciate an update! You will be in my most positive thoughts. I'm sending light and love special friend. I'm sitting here on a swing waving to you and everyone around you. Thank you for coming today and bringing your calm. Sitting down breathing thinking about all of life crisis and still not smoking makes it a little easier. Sorry that you have to face so many things at one time. You will be in our prayers and thoughts. Don't stay away to long, the playground needs to be opened. Thanks for sharing. God bless you and your family. gregp136 May I sit quietly here with you and send you energy and prayers. It really seems to be piling on, I am so glad that you know smoking would not change anything. I am praying for your wife and your lab, I think your step daughter will likely be fine. I hope that the new job goes well and that you can finish the jobs you have assigned yourself. Sitting quietly in the sand or on the grass...watching the clouds go by can be very soothing. Please know that we are here for you...ALWAYS. So sorry all this came on you all at once! You and your family are in my thoughts and prayers. Remember when we believed we could not survive any amount of stress without smoking? You have proven that untrue! You have been a big inspiration to me since I joined this site. So sorry you are going thru rough times. You have been an inspiration to people at ALL ends of the spectrum in their quits ever since you got here. PLEASE know that you are in the thoughts and prayers of all of those people. I feel as though I have a million things to do...they are really MOSTLY all in my head. SOME things we cannot control but we can always control our reactions to them...by not smoking...by FEELING, something we did not get much practice at when we SHOULD have. I have been watching clouds for long enough...I have work to do. Wow!! And I thought I was having a bad time of it!!! I've had a better day and you will too. In the mean time, come and vent when you need and sit and rest when you need that too and most of all, know that you are loved. Crunch time. Breathing was a good choice. Not smoking and accepting it another wise choice. No one likes to be overwhelmed...sending a hang in there to you til you sort and the stuff sorts itself out. Oh my gosh - that is just way too much! I am so sorry. You and your family - and dog - are in my prayers and thoughts. Please - take care - and congrats on protecting your precious quit through it all. So thank you all. I will be stopping in, I promise. gregp136 PLEASE keep us posted. "When sorrows come, they come not single spies but in battalions." That's a LOT on your emotional plate at once. I can see why it might be hard to jump on the swing at this point. More like you're stuck on the teeter totter and the one on the other end is o'er weighing you ability to get your feet back on the ground. Of all the things you mentioned, your wife's breast cancer "oddity" is the most significant and concerning to me. If you need to slow down enough to focus on one thing - I would suggest that. I was never in a position to spend $4,000 on tests for any one of my pets. I also am of the heart opinion that sometimes we need to let them go. Yes, if we have the money we can continue the tests and have the surgeries necessary... I had a cat that I loved beyond compare, and she was getting old and her kidneys were failing and she needed to be hydrated and I took her in for hydration shots... and... no. I did that a couple times and thought - I am only keeping her alive for me, not for her. I'm only coming from my own experience here. Yours is probably very different. And so we say "take what you need and leave the rest." I'm just really sorry you're going through all this amazing amount of emotional stress at the same time. But, smoking is never an option for relieving it. And you know that by now. But - those thoughts DO go through our brains at these incredibly difficult emotional times in our lives. And you were wise to come here and just let those brain thoughts out. We don't do that any more, but that doesn't mean the thought doesn't occur any more. Just keep remembering that we don't have to ACT on that relapsing thought that will inevitably drive us back to another Day One. Ya know?! Yeah. I know you know. You're in such a hard place emotionally. I feel every ounce of it. And wish I could ease it. I can't. But I do send you love, Greg. And I think perhaps every bit of love passed on has a bit of healing power in it. I am so dreadfully sorry for what you are going through right now dear Greg. You and your wife will be in my prayers and positive thoughts, your dog too. I will sit and hold your hand with the other kids here while you quietly think things over. You are in my heart.